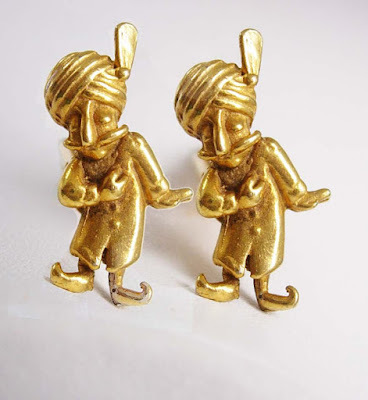 These vintage cufflinks are cute! They look more like a genial Ali Baba though than Aladdin, to me. 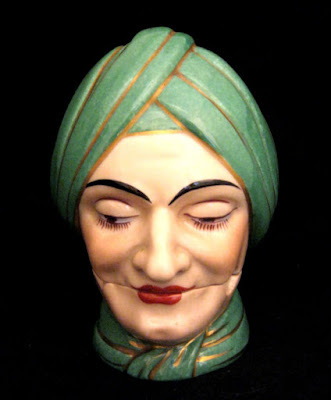 Ok, this porcelain figural head depicts a random Arabian figure, not the Storybook Aladdin. It's by a company called ALADIN, but I wanted to share it with you anyway because it looks so cool. It's an antique inkwell and pen rest from France. Love it! 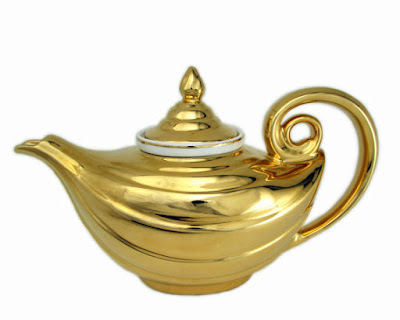 This stunning gold teapot is shaped like Aladdin's lamp. I'm so tempted! It's from the 1950s. 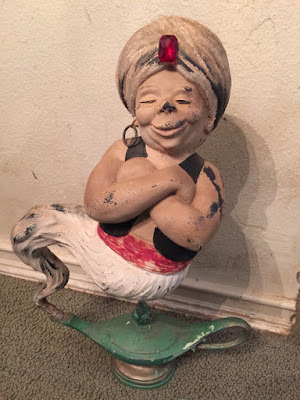 I wonder what the history of this antique advertising genie is! I'd love to know what shop it graced, many years ago. Here's a darling figural Aladdin and lamp salt and pepper shakers. 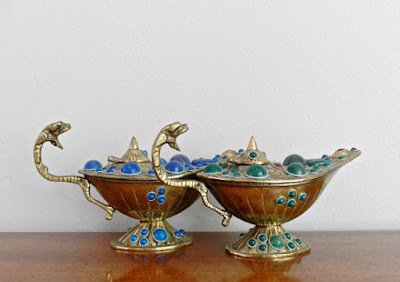 These decorative genie lamps have snakes on the handles! I love the faux gems that are embedded all over them. 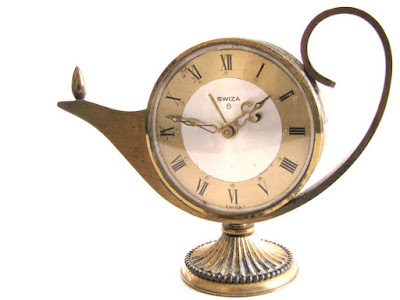 Here's an intriguing Swiza clock shaped like Aladdin's lamp. It's been refurbished and repaired so it really works. This poor antique Aladdin salt or pepper shaker has lost its mate! 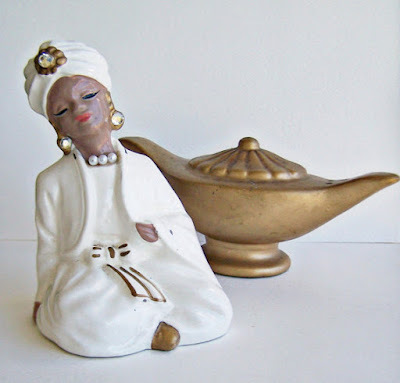 This lovely handpainted porcelain Aladdin figurine stands just five inches tall. This small Aladdin planter would hold only the tiniest of houseplants. This darling Aladdin Christmas ornament was made in Russia.